Partly cloudy skies this evening. Increasing clouds with periods of showers late. Low 39F. Winds E at 5 to 10 mph. Chance of rain 40%.. Partly cloudy skies this evening. Increasing clouds with periods of showers late. Low 39F. Winds E at 5 to 10 mph. Chance of rain 40%. 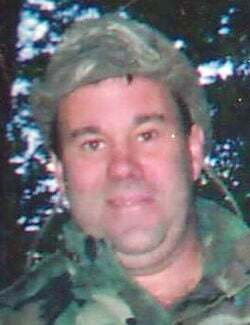 Christopher A. Fitzgerald RUTLAND - Christopher Anthony Fitzgerald, 56, of Rutland, died January 30, 2019 at the Rutland Regional Medical Center. He was born January 28, 1963, in Rutland, VT, the son of Leon “Cowboy” Sherwood and Beatrice June (Manning) Fitzgerald. Mr. Fitzgerald worked at Mountain Resort Interiors for many years. Survivors include a son, Joshua Fitzgerald of Vermont; a daughter, Chelsea Fitzgerald of New Hampshire; and three grandchildren. He was predeceased by a sister, Trina Fitzgerald. Calling hours will be held Saturday, February 2, 2019 from 2-4 PM in Tossing Funeral Home. Burial will be in Evergreen Cemetery at the convenience of the family. Arrangements are by Tossing Funeral Home.